← 6/23/2013 Where Do We Encounter God? Such stories, filled as they are with miracle and mystery, crop up here and there throughout the Hebrew Bible (our Christian Old Testament). It’s easy and quite understandable for us to get a bit sidetracked as we ponder them in awe and wonder. At its heart, however, this is a story of transition in ministry, and in that we who call ourselves disciples of Jesus Christ can relate. Elisha asked to inherit a double share of Elijah’s spiritual power and authority. No, he wasn’t being greedy. In the ancient biblical world such a double share was the portion doled out to the eldest son as his rightful inheritance. So, actually, Elisha is simply asking to be Elijah’s heir as the most important prophet in town, so to speak. Note in the story that there were 50 other prophets watching from a distance. 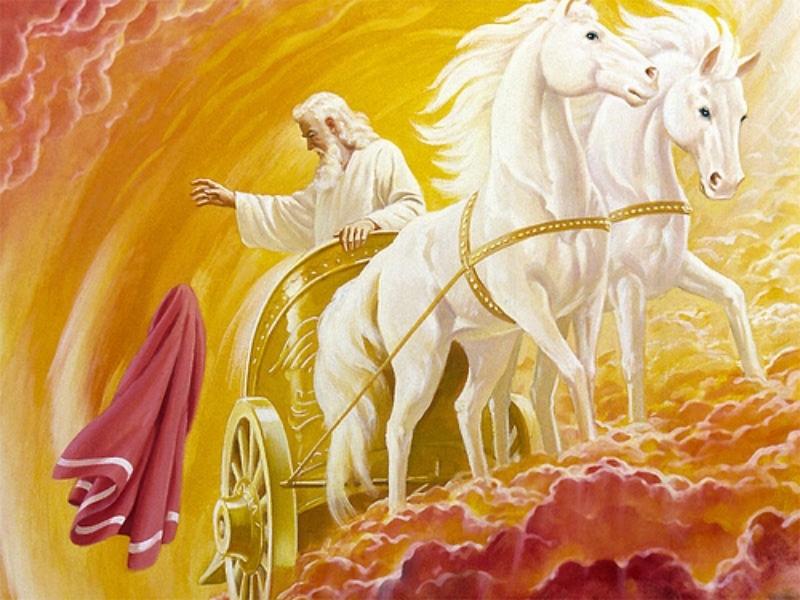 Although they didn’t view the same incredible sight of a fiery chariot coming to pick up Elijah, they did witness Elisha using Elijah’s mantle (cloak) afterward to part the river water–shades of Moses and Joshua, you think? It was critical for Elisha to exhibit some proof that it was, in fact, Israel’s God who called him to his prophetic mission as Elijah’s successor. That was not something anybody could just fake on his or her own. Herein lies another insight for those of us in the 21st century after Christ: The initiative for mission comes from divine sources, not our own imagination, however fertile or creative it may be. As a result there can be no more powerful and authoritative witness for our mission than that the Spirit of Almighty God is somehow behind it. That’s important not only for us but for those to whom we’re sent, as well. By definition ministerial leadership cannot exist in a vacuum, divorced from its setting in community. Leadership without authentic spiritual undergirding can lead to disastrous results (extreme case in point: the mass suicide in Jonestown years ago led by would-be prophet Jim Jones). This entry was posted in Ancient Israel, discipleship, Elijah, mission, prophecy and tagged Book Of Kings, Elisha, Hebrew Bible, Jordan, Old Testament. Bookmark the permalink.